Join the world’s favourite bear on his adventures as he arrives in London from darkest Peru, meets The Browns, Mr Gruber and goes to his very first concert at London’s Royal Albert Hall, where he hears music by Schubert, Haydn, Rossini and even Piazzolla. 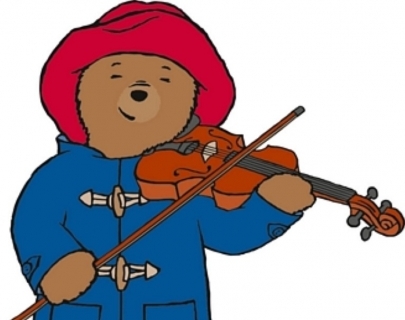 This delightful musical story, an extended version of the original written by Paddington creator Michael Bond with music by Herbert Chappell, will be accompanied live by the City of London Sinfonia and narrated by Simon Callow. 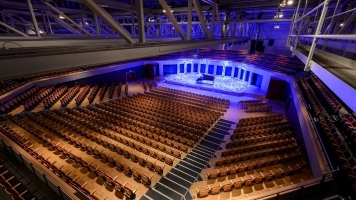 Arrive a little earlier and you can join in in a variety of fun activities – from colouring and making Paddington puppets to conducting players from London Sinfonia Orchestra or having a play on an assortment of percussion instruments. What a lovely welcome to the wonderful world of classical music – tell your young friends, family and neighbours! Simon Callow CBE is an actor, writer and director. As well as his recent highly regarded solo performances of Tuesdays at Tesco’s, Inside Wagner’s Head, A Christmas Carol and Being Shakespeare, theatrical credits include: The Man Jesus at the Lyric Belfast & Tour, Waiting for Godot (Tour and Ambassadors), The Merry Wives of Windsor (Royal Shakespeare Company) and Aladdin (Richmond). Simon’s numerous film roles include Schikaneder in Amadeus, Gareth in Four Weddings and a Funeral and Edmund Tilney in Shakespeare in Love. Extensive television credits include Plebs, Outlander and Angels in America. As well as several one-man shows, he has appeared in The Mystery of Charles Dickens, and played Dickens himself in BBC TV’s 21st century revival of the Doctor Who series.